The PKI 2940 Microphone Case is equipped with latest technology and designed for permanent room surveillance using wired microphones. Conversations can be monitored in up to eight different rooms and recorded simultaneously in real time with the built-in hard disk recorder which allows play-back, at a later date, of any conversation. All recorded information will be converted into digital data before storage and can be played back immediately. The recording can be split on up to 250 virtual tracks. The interface for CD-R allows the external storage without detour. Locator points and exactly to place markers make it easy to trace precisely certain positions. 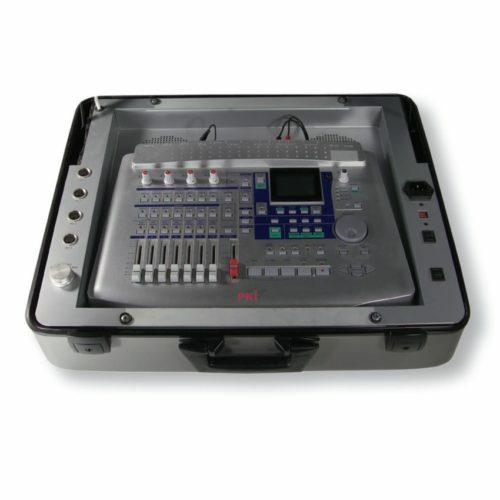 Due to its extremely high storage capacity the PKI 2940 Microphone Case is perfectly suited for a long term surveillance of conference rooms, hotel rooms and prisons.